Many parents wonder if taking their kids out of school for a Disney World vacation is a good idea. You can save some serious money if you visit while school is in session, but is the savings worth the time and work missed in school? With some preparation and solid planning, you can easily justify the educational quality of a Disney World vacation primarily because Walt Disney valued children and especially their education. 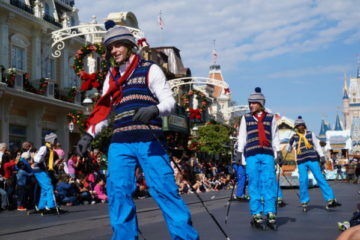 Many of the attractions in Disney World, while entertaining, also have an underlying learning component. Let’s take a look at the top five attractions that help your child learn something new! Carousel of Progress is a nostalgic Disney attraction because it was first an installment at the 1964 World’s Fair in New York. 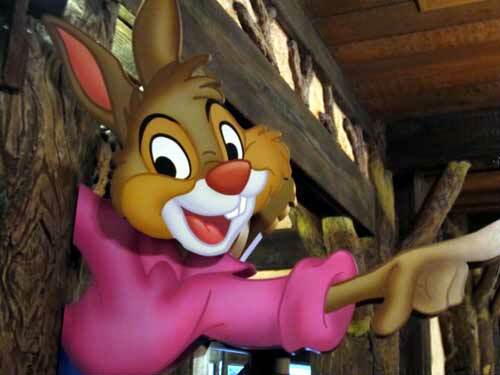 Originally called “Progressland,” the attraction featured state-of-the-art audio-animatronics and music by the Sherman Brothers. After the World’s Fair ended, the attraction was moved to Disneyland and renamed Carousel of Progress where it played until September 9th, 1973. On January 15th, 1975, Carousel of Progress was moved to Walt Disney World’s Magic Kingdom where it is still running today. The Carousel of Progress gives a 21-minute history lesson using audio-animatronics of an American family. With the father as the narrator, guests travel though four generations and 100 years of technological improvements and how they improved quality of life. The first act is set at the turn of the 20th century (about 1900 to 1920) and shows how gas lamps, the hand-crank washing machine, and the gramophone made the pre-electric era easier. Act two, 1920s-1930s, sees electronic appliances for the first time. The electric iron, the radio, the sewing machine, and the light bulb changed the American home forever. The third act, the 1940s, sees even more technological advances such as the dishwasher, the electric exercise machine, and the television. Finally, after a big jump across the years, act four is set in “present day” with virtual reality games, HDTVs, and voice-activated appliances – which we learn can still burn the Christmas turkey. 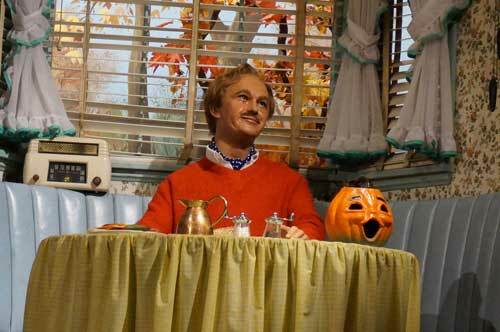 Father in the Carousel of Progress. Make the best of this attraction by encouraging your kids to think critically about how the vision of “present day” may or may not be what we actually have in our everyday life. What’s more, discuss what the “future” might look like based on how far we’ve come. 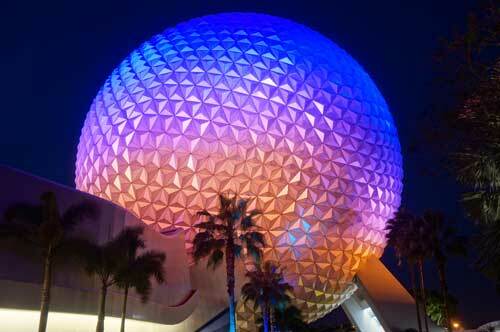 Spaceship Earth is situated at the entrance of Epcot– just look for the giant geodesic sphere. You can’t miss it. The education begins with an engineering feat. The geodesic sphere has 11,324 triangles made of an aluminum compound material called Alucobond. Did you know that, when you stand under this sphere during the rain you won’t get wet? That’s right! There is a small, 2-foot space between the shell of the dome and the outside wall that houses a gutter system. Small openings between each triangle allow water to enter the gutter system and travel through an aqua duct to the World Showcase Lagoon. Inside the attraction, the educational fun continues. This 16-minute Omnimover dark-ride takes riders through the history of communication starting with the writings on the walls of caves, the Egyptian’s invention of papyrus and hieroglyphics, the Phoenician alphabet, Greek mathematics, Renaissance Art, the rise and fall of Rome, the Gutenberg printing press, the televised moon landing, and Steven Jobs’ and Bill Gates’ technological inventions. Audio-animatronic characters tell each of the stories in an informative and connected story with Dame Judi Dench as the narrator. Spaceship Earth – beautiful and educational. 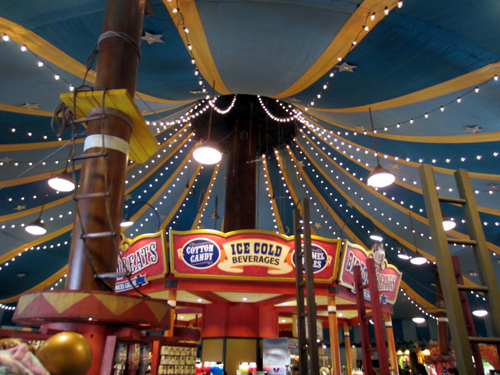 After the ride is over, visit Project Tomorrow, an area with four games and engaging displays. Body Builder is a 3D digital game teaching guests about the human body and the potential for perform surgeries remotely. Super Driver is a driving simulator showing how accident avoidance technology works. Innervision takes a look at groundbreaking medical diagnostic tools in the home, and Power City shows how to responsibly manage power and energy. It’s easy to see how this attraction is full of learning opportunities from engineering and communication to medicine and sustainability. Hall of Presidents, in Magic Kingdom’s Liberty Square is great for the child interested in political science and American history. The building is modeled after Independence Hall in Philadelphia, Pennsylvania, and inside, all 44 US Presidents are preserved in audio-animatronic form. The building houses an authentic collection of presidential artifacts including George Washington’s dental instruments and Abraham Lincoln’s leather portfolio. There is also a film discussing the origins of our country, the forming of the Constitution, and the struggles and successes we’ve faced along the way including the Civil War and the American Revolution. Abraham Lincoln even performs his Gettysburg Address. Do your kids know what this famous monologue signifies? Talk to them about it! This attraction was originally conceived by Walt Disney himself, but the technology he had at his disposal wasn’t quite ready to accomplish his dream. The wax figures he envisioned didn’t move like real people, and that wasn’t good enough for him. He worked with his Imagineers to create an audio-animatronic of President Lincoln, and Great Moments with Mr. Lincoln debuted at the 1964 World’s Fair. The Hall of Presidents – more interesting than most history classes. 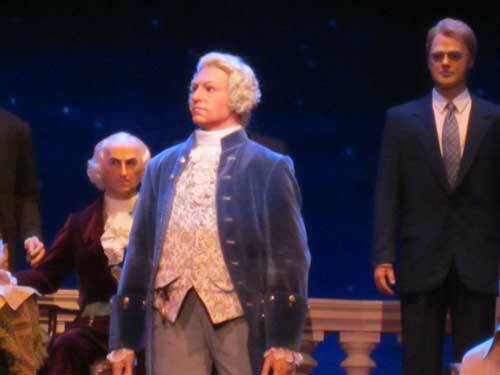 The Hall of Presidents can teach your child about American history, culture, and the engineering of audio-animatronics. What’s more, if he or she can envision something, it can happen with diligence and determination. Hop on the Wildlife Express train and head to Rafiki’s Planet Watch, a section of Disney’s Animal Kingdom that teaches guests about conservationism, environmentalism, biology, and zoology. The Conservation Station, Habitat, Habitat!, and the Affection Section provides hands-on activities that aren’t possible in the traditional classroom. Your kids will love the educational opportunities in disguise! Viewing areas allow guests to watch animal exams and surgical procedures, and experts are on hand to talk about caring for animals. They’ll also answer any questions your kids have. Head outside to the Affection Section, and see goats, sheep, pigs, and cows in the unique petting zoo. 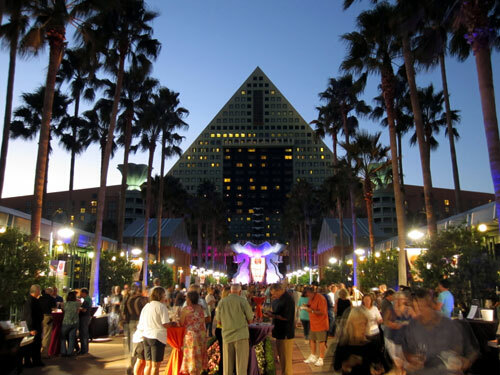 Young and old alike will learn about the animals at Disney and how to preserve natural resources including making your home more friendly to the birds in your area. This boat ride floats guests through four greenhouses and a fish farm showing how food is grown and harvested. 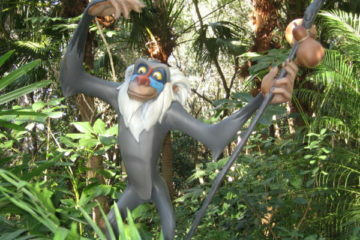 The Disney gardeners use innovative growing techniques for high yield crops to sustain the global population. The soundtrack discusses the successes and failures of the different growing techniques and how the gardeners have learned and adapted along the way. Kids will learn about biology, economics, environmentalism, and genetic engineering coming away with a new understanding, and hopefully appreciation, of how we get the food we eat. After the ride, head over to Sunshine Seasons or the Garden Grill Restaurant where you can eat the food grown in the greenhouses and fish farm! If all of this leaves you wanting more, book a spot on the Behind the Seeds tour, which takes guests behind the scenes for a one-hour walking tour. You’ll visit the fish farm during feeding time, release ladybugs into the greenhouse, learn about gigantic fruits and vegetables and other unusual crops, learn about growing techniques including hydroponics (growing plants without soil), and take home a handout showing how to create and grow your own garden! What better way for kids to learn than through hands-on activities that they can use in their own home? 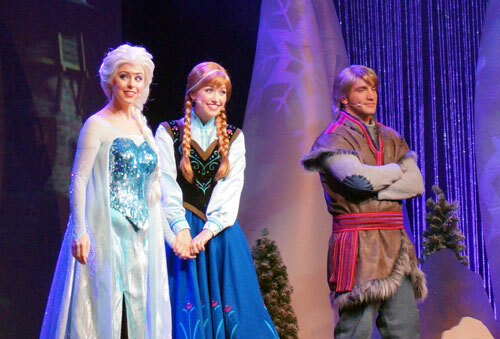 Do you enjoy the educational attractions at Disney World?